Johnny Robinson earned WORLD Diamond #1! What more can one do to be in the Hall of Fame? Well, he did a lot more . . . He won three United States National Championships - 1940, 1941 and 1946. There were no national competitions during WW II or he might have won them also. John Robinson flying the Zanonia at Torrey Pines. He set two United States National Records for distance: 290 mi in 1940 from Elmira, NY to Mineral, VA and 325 miles in 1947 from Wichita Falls, TX to Barstow, TX - both during national competitions. He set a world altitude gain record of 24,200 feet while flying from Bishop, CA to Edwards, CA on January 1, 1949. On this same flight he reached an altitude of 33,800 feet for a world absolute altitude record for which he was awarded the prestigious FAI Lilienthal Medal in 1949. In summary, Johnny Robinson earned Silver #18 in 1938, Gold #2 in 1939, Diamond #1 (Intl #1) in 1950 and was among the first six to receive a Three Lennie Pin in the early 1950s. In addition to the Lilienthal Medal, he received the Bendix Glider Trophy in 1940 and the Evans Trophy (as national champion) in 1940, 1941, 1946. 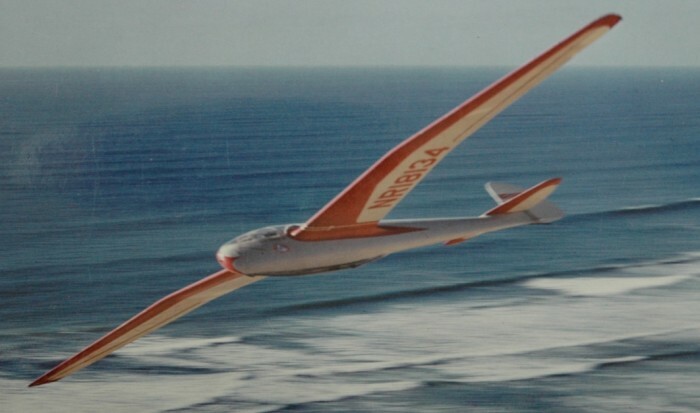 In the early days of soaring most flight instruction was done in single-seat gliders. The instructor gave pre-flight instruction about the immediate task and then the student would try it - sometimes communicating with loud discussion from the ground. First step was to fly straight ahead - next lift off the ground and land straight ahead. Then the student would take off and make a 180 degree turn. Eventually a full turn was made with a landing back where the take off had been. The A, B, C badges were used to mark these accomplishments. These badges are still used in modern flight training but have different meanings. 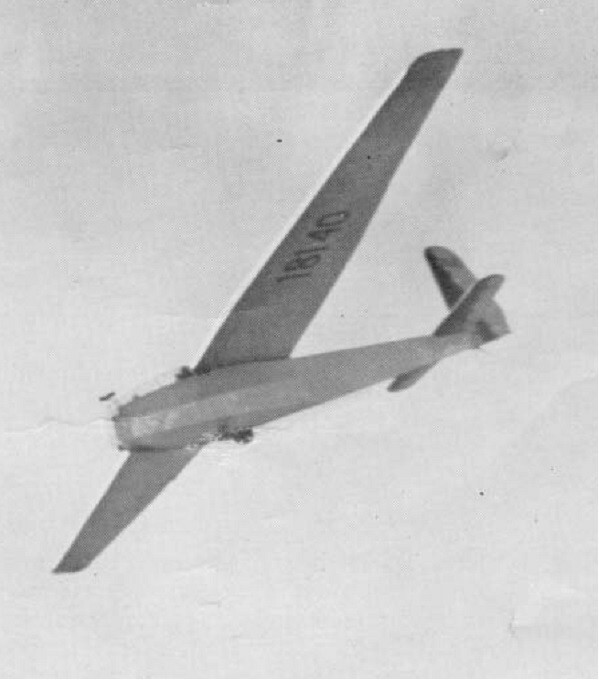 By the late 1930s two-place gliders were being designed. Flight instructors were now delighted to have these trainers rather than rely on the tedious single-seat method. Dave Robertson and Henry Severin of San Diego built a two-place primary glider and taught several people to fly including John Robinson. Robinson designed and built a glider he named "Robin" and made several very good flights, winning in competition and advancing in badges. The Zanonia (originally known as the RS-1) had been built by Harland Ross in 1937 for the movie star Harvey Stephens. It won second place in the 1937 design competition and was considered one of the highest performing American sailplanes. It was eventually sold to Woody Brown who sold it to John Robinson in 1939. Robinson made some key modifications and continued his winning ways with this sailplane beating both the Orlik and Minimoa in national competition. He made his Diamond distance during the 1947 Nationals at Wichita Falls, Texas. In 1939 he attained Diamond altitude with a flight from Bishop, California, to an indicated 33,300 feet near Mt. Whitney. His Diamond badge was completed with a 221 mile goal flight to Overton, Nevada, during the 1950 West Coast Championships at El Mirage. He earned World Diamond Number ONE!